This JournalBook gift set consists of an Ambassador Bound JournalBook and a SM-4101 Nash Pen. 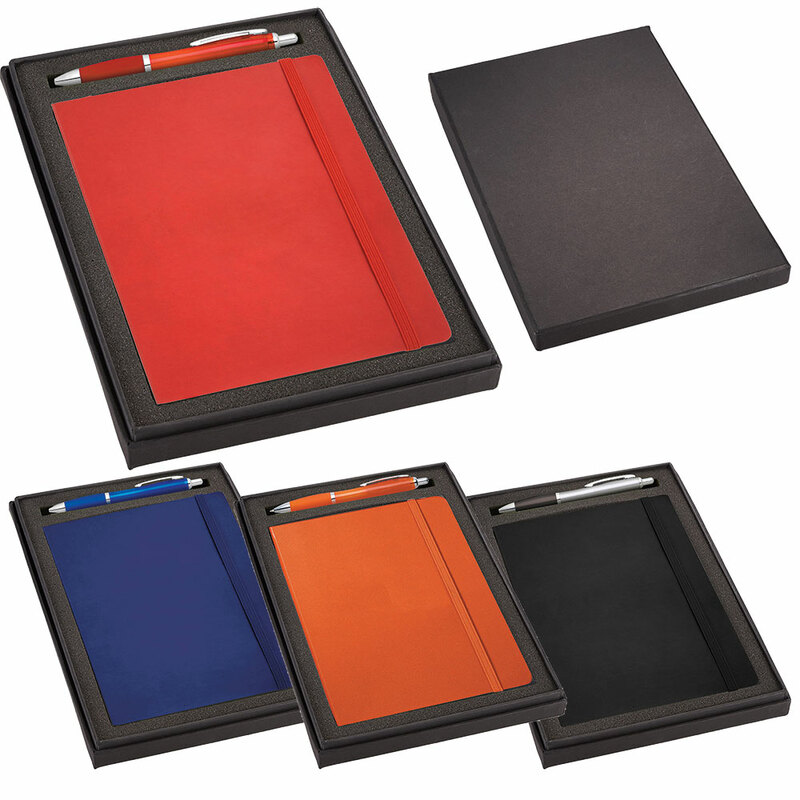 Each item is available in Black, Blue, Red and Orange and can be purchased as a set or as individual items. When purchased as a set they are presented in a custom made 2 piece gift box with foam insert for the presentation of each item. The 9196 Ambassador Bound JournalBook features a built-in elastic closure, ribbon page marker, expandable accordion pocket and includes 80 sheets of lined paper. The SM-4101 Nash Pen fetaures a retractable ballpoint pen with soft grip.